ADVANCE… because who wants to retreat? We have used herbs and essential oils to improve our wellbeing for centuries. 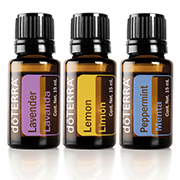 doTERRA essential oils are the purest and most powerful oils I have ever used and I am delighted to be a Wellness Advocate for them. I have been using doTERRA oils exclusively for around 6 years now and the quality of them is unrivalled in my opinion. They have helped me so many times in the past. Don’t take my word for it though, try them yourself. My daughter had a vaccination at school recently and that night she had a mild reaction to it. Being a teenager she was mortified but we immediately applied a small amount of melaleuca (tea tree oil) using some cotton wool. The photo on the left if before we treated it. The photo on the right is less than 15 minutes after we applied the oil and by the morning there was nothing noticeable at all. Sign up now to get your free ebook "Start your day with 5 mindful minutes" and get weekly newsletters with techniques and advice about living a more mindful and meaningful life. By signing up to my newsletters you are agreeing to receive a weekly email from me, Kate Beddow. I will never sell your details or spam you with irrelevant information and you can unsubscribe at any time.